Whether you’re a high school or workforce counselor looking to steer p eople into a career field best suited for them, a mid-life career changer, or just want to learn more about the state of the industry, the TechCareers series has the information you need. Beginning with the Wright brothers in 1903 and spanning over a century, human flight has made giant leaps forward. From the first airline being founded to Charles Lindbergh completing his first solo crossing of the Atlantic Ocean to General Chuck Yeager breaking the sound barrier to pilots flying around the world without refueling to stealth bombers that “owned the nights” during the Gulf War, piloting continues to be a viable career for those with commitment and dedication. The need for commercial aircraft pilots always is growing. According to the Joseph T. Nall Report published annually by the Aircraft Owners and Pilots Association (AOPA), the number of aircraft in use roughly doubles every 10 years. Employment for pilots is expected to grow by 12-14,000 positions, or 12 percent, from 2008-2018 because of population growth and demand for air travel. Starting salaries range from $20-24,000 a year for a regional airline and around $45,000 for a major airline though salaries for veterans can reach into the $100,000 range, according to Ed Viera, flight instructor at TSTC Waco. The lower end salaries are due to deregulation, he says. Private pilot – Certified pilots can fly passengers for personal or business. You only have to be 17 years old to get certified this way, but as always, there are various tests to pass before you can take your friends for a flight. Note: A private pilot is not allowed to make a profit off of flying his/her passengers and can only split the costs evenly between himself/herself and the passengers. Certified flight instructor – These brave few have multiple options for how they are certified. Whether it’s single-engine, multi-engine, helicopter or certified flight instructor instrument, the more certifications an instructor has, the more likely they are to find work with an airline. Commercial pilot – Along with several written tests, anyone 18 years or older with a FAA commercial pilot certificate and at least 250 hours of flight time can pilot commercially. The skies are your highway! Airline transport pilot – You have to be older than voting age to be certified in order to be an airline transport pilot. If you’re 23 or older and already have a private and commercial certificate, along with at least 1,500 hours of flight time, then you, too, can pilot transport plane s! Multi-engine pilot – Multi-engine training can span the career of a pilot. Many major airlines require sessions in a simulator and regular proficiency exams. Major airlines want to hire only those with the best qualifications. TechCareers: Aviation Pilots provides the information prospective aircraft pilots need to know to gain the necessary expertise before setting off on a path to the skies. 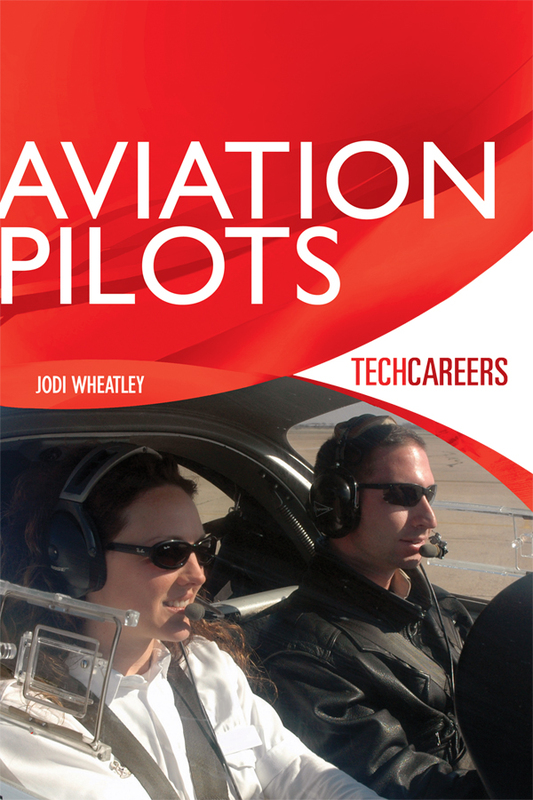 TechCareers: Aviation Pilots also includes detailed information about the education and training necessary to become a pilot and industry standards, along with personal profiles of professionals who have been in the field for years. Born and raised in Texas, Jodi Wheatley earned her bachelor’s degree in TV & Film Production from the Journalism, Broadcasting & Film School at Trinity University in San Antonio. After many years working in local television, writing, producing and directing commercials, public service announcements, station promotions and marketing videos, she expanded into technical/communications writing for Texas State Technical College in Abilene. Writing and editing online course content (including Fiber Optics, Hydraulics, Cutting & Welding, Electricity, Applied Math and other subjects) for wind energy technology training classes was great fun, as it allowed her to do the two things she said she enjoys most: learning and helping others learn.